Both/And is a selection of work from the first three years of teaching, research, and outreach at the ISU Computation & Construction Lab. 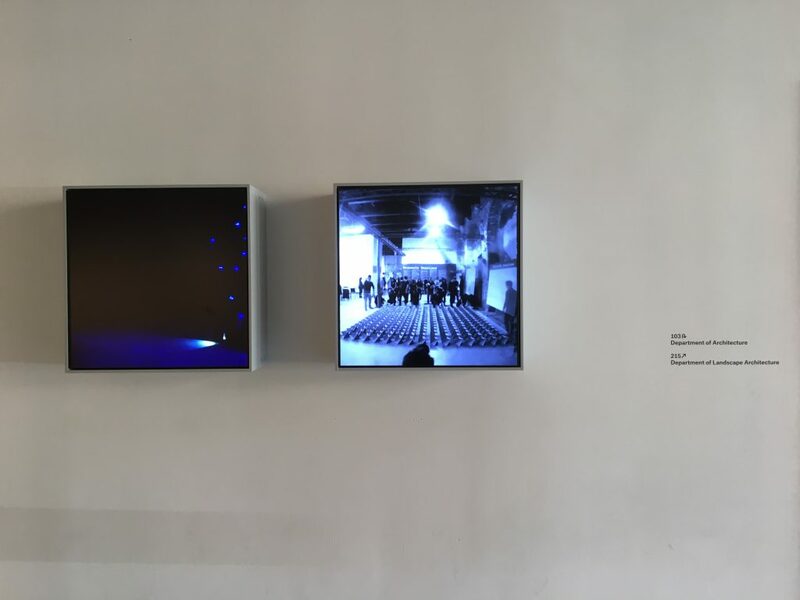 Both/And explores how computation in architecture is a material, pedagogical, and social project; it argues that computation both has, and produces, cultures in architecture. 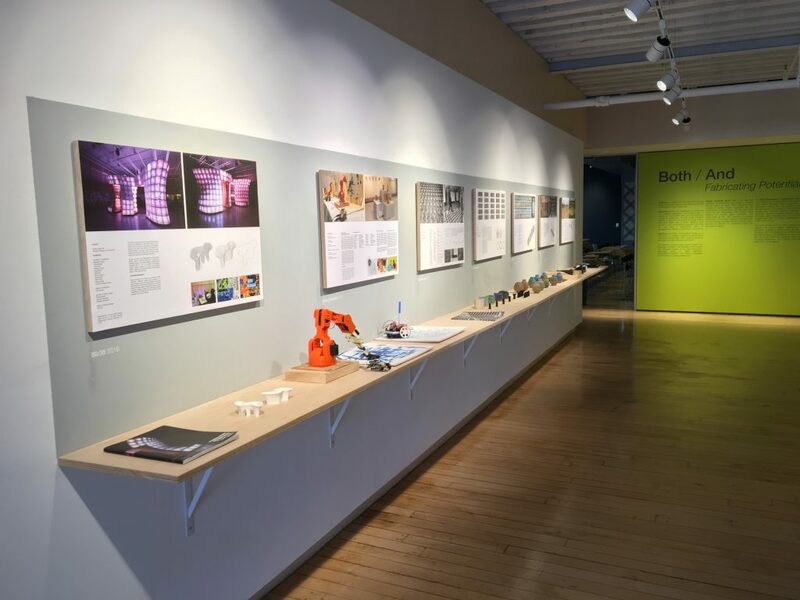 The title of this exhibition signifies a search for computational design that is “both/and” rather than a binary “either/or” and pursues a new computational language that does not rely upon a deterministic ethos of standardization, efficiency, optimization, and control. 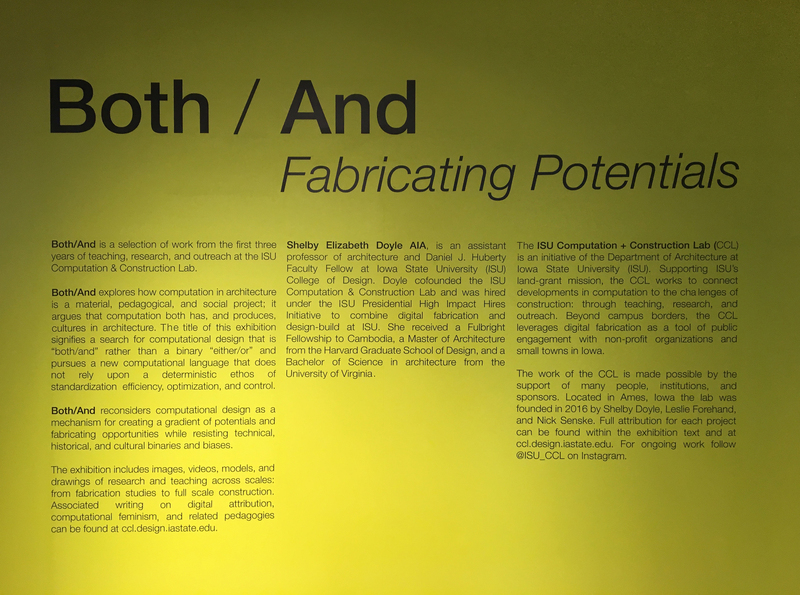 Both/And reconsiders computational design as a mechanism for creating a gradient of potentials and fabricating opportunities while resisting technical, historical, and cultural binaries and biases. 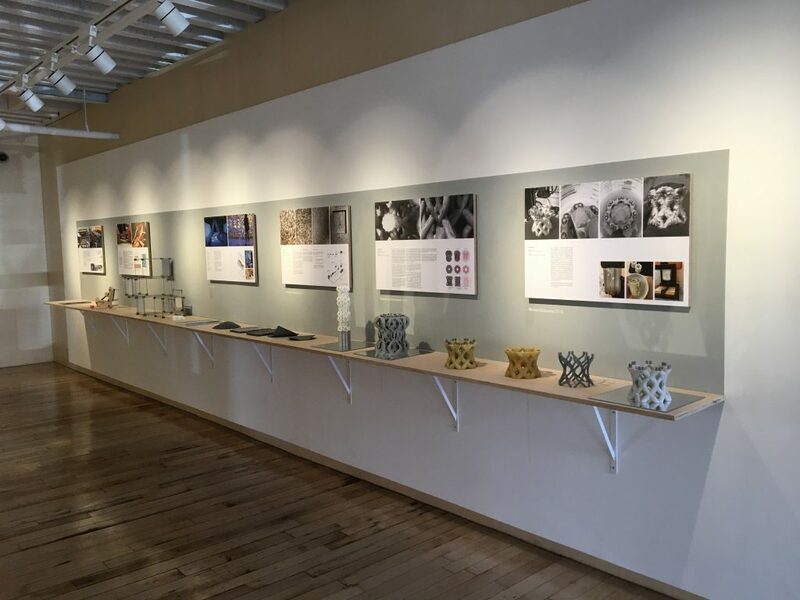 The exhibition includes images, videos, models, and drawings of research and teaching across scales: from fabrication studies to full scale construction. 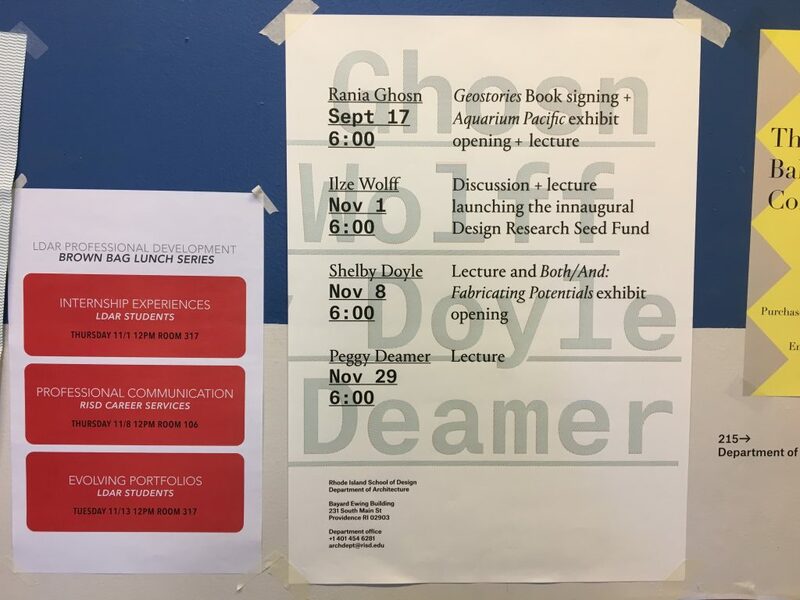 Associated writing on digital attribution, computational feminism, and related pedagogies can be found at ccl.design.iastate.edu. Thank to our many collaborators, students, and ISU for making this work possible and Jacqueline Shaw and her team for installing the work.